World Tourism Day is an annual global observance that was established by the General Assembly of the United Nations World Tourism Organization (UNWTO) in 1979. Events organized on the occasion aim at highlighting the cultural, social, political and economic value of tourism. World Tourism Day (WTD) is celebrated on September 27. Such a date was chosen to commemorate the anniversary of the adoption of the UNWTO Statutes in 1970. This event is regarded as an important milestone in the development of contemporary world tourism. 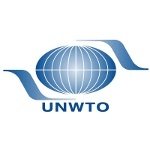 Each year, the UNWTO selects the new theme for World Tourism Day. For example, the 2015 theme was “Millions of tourists, millions of opportunities”. Events held on September 27 are expected to focus on the current year's theme. Since 1998, a new host country is designated each year. The host country acts as the UNWTO's partner in organizing the celebration. Although WTD is celebrated by events and activities in all UNWTO Member States, official celebrations take place in the host country. Each year, UN Secretary-General, UNWTO Secretary-General, representative of the host country (for example, Minister of Tourism), and partner organizations release official messages dedicated to the importance of tourism.